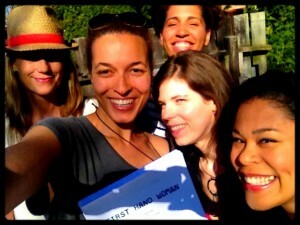 First read-through with the NYC-bound FIRST HAND WOMAN cast! 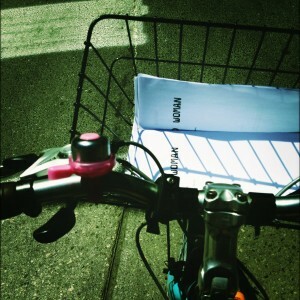 I printed up seven copies of the script, threw them in my basket, hopped on my bicycle and zoomed over. New cast member, Victoria Murdoch, playing “Denial” had us all in stitches. New cast member, Nicole Stamp, playing “Bargaining” brought an awesome A-type sassiness to the role. Veteran cast member, Patrice Goodman, playing “Anger” brought her passion and her “funny” to the role again (I can’t wait to see where she takes it this year). 2009 cast member, Allana Harkin, playing “Acceptance” worked her no-nonsense take on the part — look out NYC. And I had a blast messing around with the role of “Depression” (ironic, right). The amazing Saidah Baba Talibah and Alejandra Nunez, who are bringing the live songs and the sounds to the NYC debut, joined in and stirred us up. 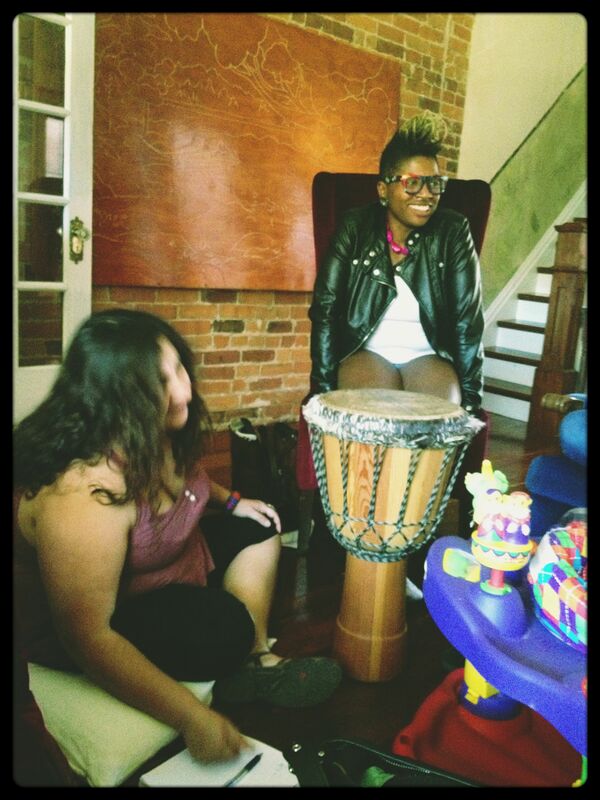 Want to know more goodies about our rockin’ NYC team? Get more deets HERE. Xoxo.